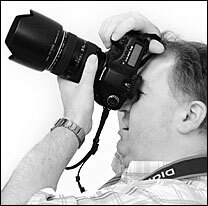 Contact details of James Nicholas Photography with opening times. Please book an appointment for your session. Appointments can be carried out, outside business hours including Sunday by prior arrangement. Professional Photographers for Bristol, Bath, Thornbury, Yate, Chippenham, Soundwell, Kingswood, Bitton, Keynsham, Warmley, Wick, Yatton, Weston-Super-Mare, Almondsbury, Radstock, Chipping Sodbury, Shepton Mallet, Saltford, Long Ashton, Patchway, Nailsea, Winterbourne, Portishead, Clevedon, Corsham, Chepstow, B A N E S, South Glos, Wilts, Somerset, North Somerset, Avon, Gloucestershire and South Wales.